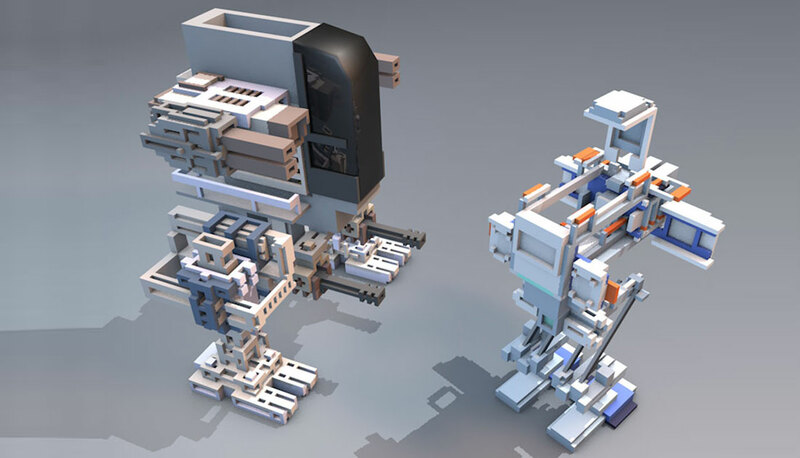 This is a collaboration made with three voxel artists. The project is still a work in progress. 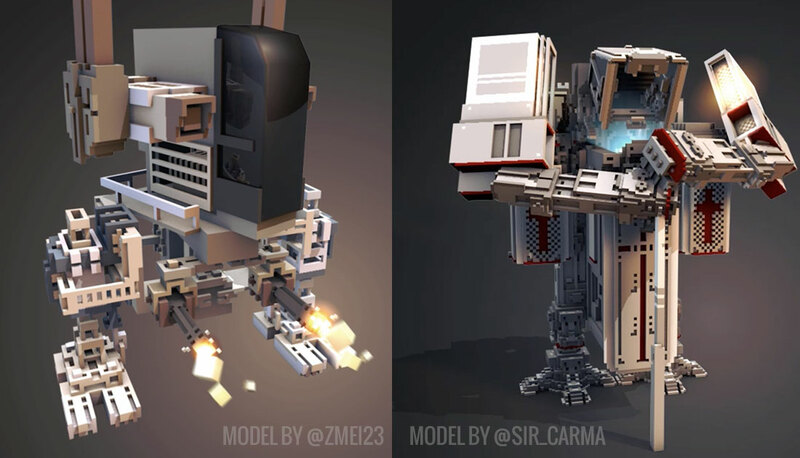 @einschnellboot, @zmei23 and @sircarma kindly sent me their robot models (made with Magicavoxel) and I animated them as if they were contenders in a robot rumble. A short movie was made on my youtube channel. Very cool !!! I am a game designer and I think voxel is a good way to build characters, scenes for game prototyping, your animation inspiring me very much! thanks ! !